The 62-year-old Socialist leader put a decisive end to speculation in a solemn televised statement from the Elysee Palace in Paris. French President Francois Hollande announced on Thursday he would not seek re-election next year as he bowed to historically low approval ratings after a troubled five years in power. 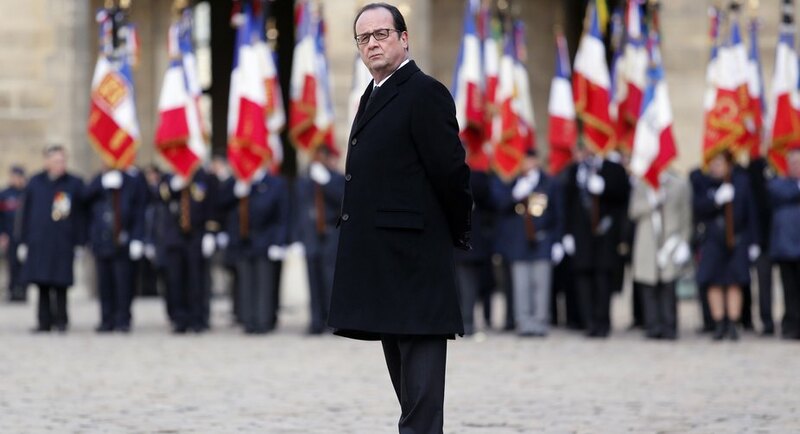 “I have decided that I will not be a candidate,” Hollande said. Hollande’s popularity had hit rock bottom after a term in office marked by U-turns on major policies, terror attacks, high unemployment and embarrassing revelations about his private life. A new poll on Wednesday predicted he would win just 7.0 percent of votes in the first round of next year’s election in April — strengthening critics in the Socialist party who view him as a lame duck. Voter surveys currently tip rightwing Republicans party candidate Francois Fillon to win the election, with the far-right National Front candidate Marine Le Pen seen as his closest challenger. But with the full range of candidates still unknown and the role of independents such as 38-year-old ex-minister Emmanuel Macron difficult to predict, analysts urge caution about the forecasts. Hollande’s withdrawal leads the field open for France’s divided ruling Socialist party which began accepting candidates on Thursday for a party primary race due on January 22 and 29. Arnaud Montebourg, a leftist former economy minister, has already submitted his name while ambitious Prime Minister Manuel Valls would also be expected to run. Hollande, who has some of the lowest approval ratings for a French president since World War II, came to power after defeating rightwing president Nicolas Sarkozy in 2012. He took office promising to be “Mr Normal” after what were seen as the excesses of the years under Sarkozy, who married supermodel Carla Bruni and was often pictured with millionaire friends. But his presidency has been anything but normal. France has faced three major Islamist-inspired terror attacks since January 2015 — firstly against the Charlie Hebdo magazine, then in Paris in November and in Nice in July. On economics, Hollande started with a leftist programme that included a wealth super-tax of 75 percent on top-earners but he shifted course mid-way through his term to embrace pro-business reforms.